For the most part, the Nissan Leaf has minimal drawbacks compared to a conventional car. 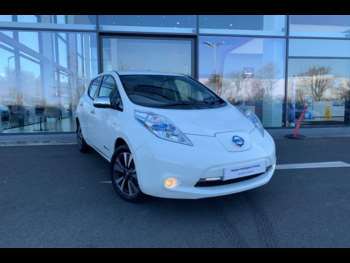 If you can live with the short range and the time taken to recharge it, then the Leaf is a practical and attractive choice. If you want to undertake long motorway trips on a regular basis though, this probably isn’t the car for you. However, inside a used Nissan Leaf is roomy. The controls will mostly seem familiar to drivers of conventional cars, with the exception of the gear selector which is more like the mouse on your PC – move it down for drive and up for reverse. The digital dash is easy to read and keeps you apprised of the all-important battery status and range. The Nissan Leaf looks like any other hatchback. A full 8-hour charge gives you 100 miles of range, it'll do 0-60 in 11.5 seconds and has a 90mph top speed. You won't pay any road tax and if you charge it overnight using off-peak electricity, then running costs should be minimal. There is a fast charge feature that will give you an 80% charge in half an hour, but you'll need to have a special socket installed or find a public charging point to make use of it. There's only one trim level with the Leaf but it's well equipped. Satellite navigation is standard along with a rear parking camera, LED headlamps and Bluetooth connectivity. The first thing you notice about the Leaf is the way it goes about its business in a ghostly silence. There's a gentle whine from the electric motor and the rumble of the tyres on the road but that's it. The electric motor delivers its torque instantly, so it accelerates strongly and is great for the cut and thrust of urban traffic. Regenerative energy from when you coast or brake feeds power back into the battery. 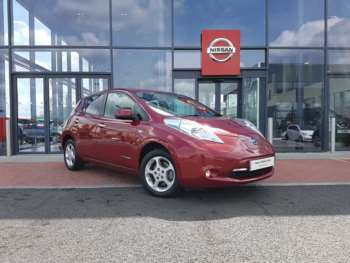 Out of town the Nissan Leaf corners well with minimal roll – helped by the batteries below the seats that give it a low centre of gravity – and steering is responsive and light. The car also has a smooth ride, making it relaxing and comfortable to drive. 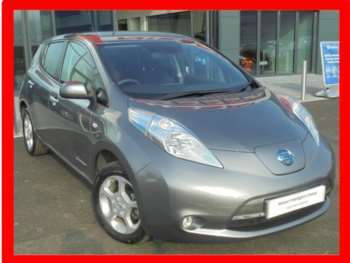 Got a specific Nissan Leaf model in mind?